YOU FOUND US! – The Connoisseur Carpet Cleaning blog. Welcome to the Connoissuer Carpet, Upholstery, Tile, Stone & Grout Cleaning Blog. 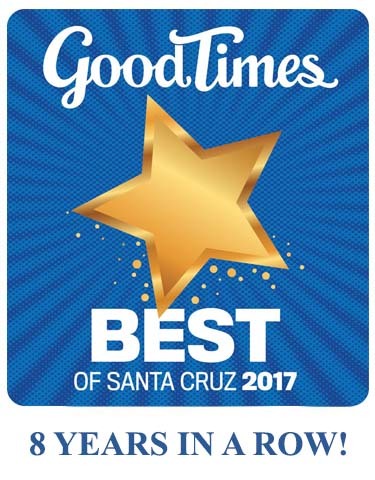 The best kept Tile & Grout Cleaning secret in Santa Cruz. We’d like to introduce Mike and Paula Pailliotet of Connoisseur Tile & Grout Cleaning. Connoisseur is a quality minded company in the Santa Cruz area (Aptos, Capitola, Watsonville, Corralitos, Scotts Valley, Felton, Boulder Creek, Ben Lomond), also serving parts of Santa Clara county including San Jose, Saratoga , Los Gatos and the Summitt area (minimum charge) .They began Connoisseur as an owner operated company in May of 2001, and continue strong by gaining trust throughout the community. Although it is a relatively young company, Mike has quite a bit of experience in the industry. He began in the field in 1987, in the L.A. area, working for a large company. With a new family to support (baby Monique on the way), Mike was lucky to find his niche. How many people do you know who truly like their job? In the fall of 1988, the family of three moved to the Santa Cruz area, and Mike began working for a large carpet and upholstery cleaning company in the Bay Area. Not long after that (in 1990) their son Davis was born. For the next 12.5 years, while working for the large company, Mike gained much experience. He became certified by the IICRC (http://www.certifiedcleaners.org) in Carpet Cleaning, Upholstery & Fabric Cleaning and Stone. (He is now also certified in Stone, Masonry & Ceramic Tile Cleaning.) He was involved in research and development of new equipment, products and techniques. He became confident in cleaning all sorts of carpet, upholstery and area rug fibers, even the ones most cleaners shy away from. He was also the most requested technician, asked for by most of the customers in his territory. Not only were people attracted to his skill and expertise, but also his friendly manner and sense of humor. Mike put all this experience to work for him in his own business, Connoisseur, and is joined by his wife of 22 years, as office manager and occasional helper on the job site. You may also see the now teenage children helping here and there. Super assistant-extraordinaire Oswaldo Lee is also on board four days a week to help your job get done in a timely manner. They would love to show you why all the best flooring retailers in town ONLY refer Connoisseur to their customers. Please read through the web site and you’ll find that they are not only the best equipped and most knowledgeable cleaning company in town but also the most respected. One look in our truck is all it takes to know that we are not your regular carpet cleaning company. We have the equipment, knowledge and passion to get your floors and upholstery as clean as possible. We spend a fortune on equipment to stay on top of our trade, and it shows. We invite you to discover the best kept secret in carpet cleaning in the Santa Cruz Area. Steam? Shampoo? Dry Cleaning? They all have their place and we do them all. Don’t be taken by the many “One Method” cleaners in town. Whichever cleaning process we choose to best suit your carpet or upholstery, rest assured, we will take the time to do it right. You’ll never find us rushing through a job. We know how important each and every happy customer is. We have the knowledge, equipment and techniques to get your carpet looking it’s best. We will safely and quickly get your carpet cleaned and dry. When it comes to Hot Water Extraction cleaning, our patented Vortex Cleaning Machine delivers results like you’ ve never seen before. In most cases our “wet” cleaning process will dry quicker then our competitor’s “Dry” process. And you get the benefit of the sanitizing effect that only super hot water can provide. The Vortex also allows us to clean further away from our truck then any other company in town. Cleaning your carpet to help maintain it’s looks and to prevent wear is very important. But what is even more important is to keep your home’s filter, your carpet, as clean as possible. Nothing effects in-home air quality more then having your carpets properly cleaned on a regular basis. Studies have proven time and again that clean floors will play the biggest roll in improving your allergen related problems. The finest flooring retailers in town only refer us to their clients because they know our results cannot be beat. We invite you to see the difference. » Something really cool I found on the web. Did you write all this? Where do you find the time?